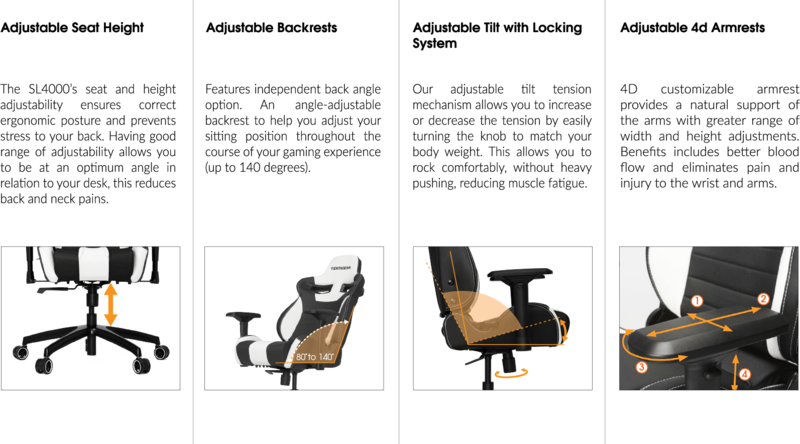 The Racing Series S-Line SL4000 gaming chair brings unparalleled level of ergonomic comfort and adjustability. Crafted with high-density padding and a contoured backrest, it allows for longer and extremely comfortable gaming sessions. Elegant, Durable Exterior Made from premium quality PVC leather with stain resistant characteristics, the SL4000 has an extra dense foam padding that adds great support and comfort. The breathable open-cell structure limits heat being trapped. Aluminum Alloy Foot The SL4000’s wheels are engineered for quieter operation and greater resistance to foreign objects and debris. The 5-star base (made from aluminum alloy) keeps the chair solid, stable, and lightweight. Extra Accessories: Cushions Additional Memory Foam Neck Support and Lumbar Support cusions are included. 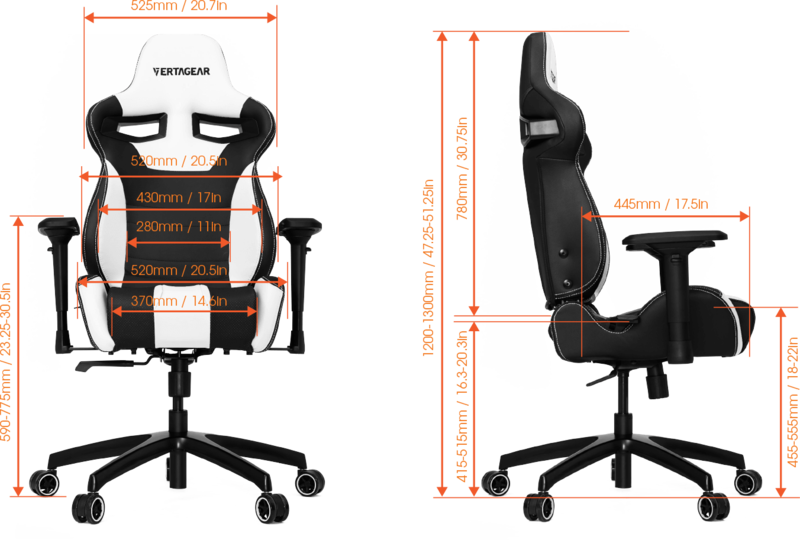 Adjustable Seat Height The SL4000’s seat and height adjustability ensures correct ergonomic posture and prevents stress to your back. Having good range of adjustability allows you to be at an optimum angle in relation to your desk, this reduces back and neck pains. Made from premium quality PVC leather with stain resistant characteristics, the SL4000 has an extra dense foam padding that adds great support and comfort. The breathable open-cell structure limits heat being trapped. The SL4000’s wheels are engineered for quieter operation and greater resistance to foreign objects and debris. The 5-star base (made from aluminum alloy) keeps the chair solid, stable, and lightweight. Additional Memory Foam Neck Support and Lumbar Support cusions are included.